If you need a new gaming headset, you should get the HyperX Cloud II (available at Amazon for $99.99). 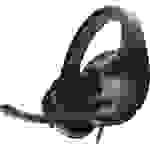 It's affordable, comfortable as a cloud, sounds great, and has a mic that delivers crystal clear callouts to your team. The Cloud isn't the cheapest headset we tested, but, pound for pound, it provides the best balance of performance for cost. 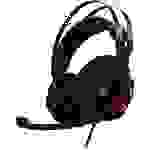 A proper headset is going to improve your game tremendously—whether that's upping the immersion during a frightening indie title or ensuring you pick up on enemy footsteps in a multiplayer game, where it could mean the difference between winning and losing. While the Cloud II is my go-to pick, I also have options for gamers on a budget, or those of you looking for the best performance possible. Read on to see which gaming headset is the right pick for you. HyperX's new and improved Cloud II headset replaces the original Cloud as our top pick. 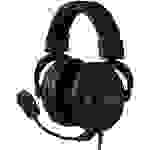 It's extremely comfortable and comes packaged with leatherette or velour earcups, an audio control box, and a detachable mic. The aluminum body is strong, and durable enough to last a good long while if you plan on taking your gaming on the go. When it comes down to the audio performance, you'll need to be a little cautious. These things are explosively loud—if you're not careful they could destroy your ears. But once you've dialed in the correct volume, you're left with a headset that delivers every note and range of your game audio with beautifully detailed clarity. I was constantly surprised by new sound effects I heard while playing Overwatch, a game I've logged well over 400 hours on. That's not to mention the detachable mic that—while not as clear and powerful as the Razer ManO'Wars—still left me impressed. It's hard to argue the sheer amount of value you're getting with the HyperX Cloud Stinger. This is a headset that's aimed at anyone who just wants good audio and doesn't really care about any other frills or unnecessary bits and bobs. Don’t get me wrong, there’s enough here to satisfy most gamers, but the Cloud Stinger excels at being a straightforward experience. It’s the perfect headset for beginners. The Cloud Stinger supports multiple platforms—meaning you can play on PC, the Xbox One, and the PlayStation without a hassle. The mic isn’t detachable, but it can be swiveled upward to be tucked out of the way—which also conveniently mutes it. Plus it’s lightweight and comfortable to boot. The only downside is that it doesn’t feel particularly sturdy or substantial. I’d be careful when transporting it as it could get damaged along the way. Even if they do break though, it's much less costly to replace them than it is for top-tier headsets which easily cost three to four times as much. If you're an experienced gamer who doesn't mind spending a little more for top-tier equipment, then the Razer ManO'War is the headset for you. It outshone the competition in nearly every category and would be my go-to pick if it didn't come with such a hefty price tag. That price tag does come with some serious benefits, though. The wireless works like a charm and is something you don't think you'll want until you try it for yourself. It's easy to use, too. Even after pairing multiple headsets, all I had to do was turn the ManO'Wars on again and they were good to go... though that probably had something to do with the ultra-compact wireless USB adapter that I totally forgot to unplug. Not to mention a reported 14 hours of battery life that's more than enough for a daylong session of games. When it comes down to how the game actually sounded the ManO'Wars were equally impressive. They definitely emphasized power and an expansive range more than subtle detail, but that's not necessarily a bad thing. This is a headset built for "Overwatch" or "Battlefield 1," games that require you to pick out enemy footsteps or audio cues, but not the fine symphonic melodies of an orchestra. The unidirectional digital microphone also came in at the top of its class, effectively canceling out the noisy laptop fan and leaving my voice crystal clear. In the end, it wasn't the audio or mic that I admired the most. Instead, it was how unbelievably comfortable this headset is. The earcups are big enough to completely encase my ears without pressing down on them in any weird, painful ways. I felt like I could, and very much did, play nonstop for hours. While I wouldn't necessarily recommend that, it's nice to know the option is there if you just need to spend an afternoon relaxing by playing through the entirety of "Never Alone." While gaming headphones are still headphones, gamers typically have a different set of priorities than audiophiles listening to music on the go. 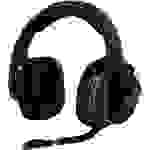 Even within the gamer population, different gaming headsets will be more or less useful, depending on their preferred gaming genre. Once you've decided that regular headphones are no longer adequate for an hours-long session of Red Dead Redemption 2, here are a few features that can help you make your decision. • Sound Quality—Are you playing games that are mainly soundtrack music? Or can your headphones' transmission of audio cues make or break your ability to level up? If you're playing online with friends, can you hear their instructions and comments? 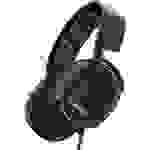 If you're constantly listening for gunshots or footsteps, you may want to invest in a pair of headphones that emphasize bass tones; otherwise, if you need to hear more than audio cues, it's best to get headphones that have a more expansive sound profile. 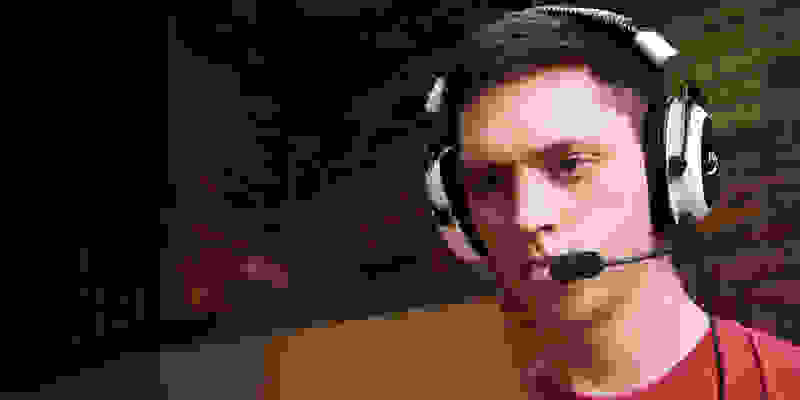 • Microphone—Having a high-quality mic is key, especially if you're playing with teammates. The best microphones should cut out any electric humming or ambient noise, and have voice clarity that is comparable to talking to someone on a cell phone when you both have great reception. Ideally, the microphone is also adjustable so that you can get it at just the right distance from your mouth so that it doesn't transmit your breathing more than your voice. • Comfort—Listen, we've all gone on gaming binges before, but you can't really enjoy a gaming marathon if your headset starts squishing your head and ears after only a couple of hours. The headphones themselves should be adjustable so that you're not stuck with ill-fitting headphones. Thick ear pads, a padded headband, and a relatively light weight are necessities for a pair of gaming headphones if you're going to be spending quality time in front of your TV or computer. • Isolation—Gaming can be a form of escapism; to ensure that you're really escaping, your headphones should really block out ambient noise, both so you can better hear what's going on in the game, and so that the outside world doesn't distract you from your task. 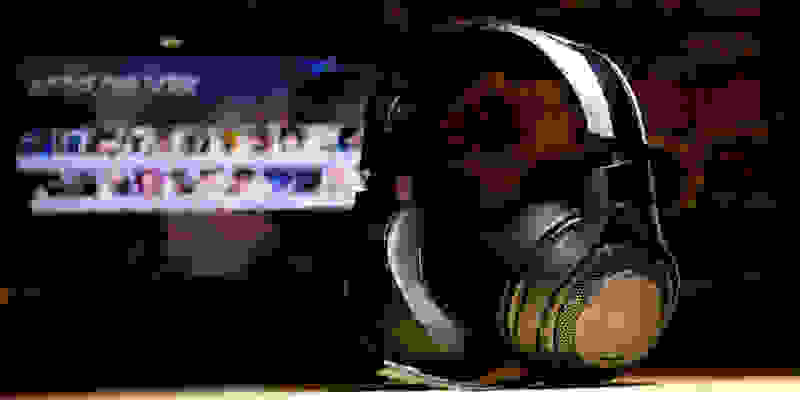 Granted, in an emergency, it's best to be able to hear some of the outside world, but gaming headphones should ideally be able to block out humming from air conditioners, refrigerators, and other appliances. • Cable/Wireless—If your gaming headphones have a cable, it should be a long cable (ideally, longer than 10 feet). While it's easier when you're gaming on your computer, when you're gaming on TV screen, you're typically not sitting right up in front of it, like you would with a computer. Having a long cable allows you to sit at a comfortable distance from your gaming system. If, on the other hand, you prefer to be cable-free, then you may prefer wireless gaming headphones. Wireless gaming headphones usually have either a USB connector that you plug in, or are connected over Bluetooth. Keep in mind that wireless gaming headphones have a battery life, and that you may want to keep an eye on said battery life, lest they cut out at a key point in your gaming experience. • Platform—Before you lay down cash for a pair of gaming headphones, make sure they're compatible with your game system. Some brands have different products for different platforms, and others just have a regular headphone jack that can be plugged into any system. Additionally, some features may not work equally well across all platforms. Billed as "the headset for eSports pros," the Kraken Pro V2 was a strong contender for my top pick, but ultimately fell just a little short because of comfort. Now, to be fair, I'm being extremely nitpicky. They're not uncomfortable by any stretch of the word. The earcups are thick and soft and never once felt like they were clamping down too hard on my ears. I easily went four hours or more without feeling like I needed a break. It was only in comparison to other headsets on this list that its shortcomings became apparent. The audio is exactly what you'd expect from a headset targeted at pros. It's impressively loud and detailed without overwhelming the callouts from your team. And on your end, the fully retractable unidirectional mic delivers your chat without the electric buzz of cheaper headsets. 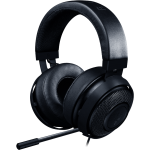 While I'd recommend the HyperX Cloud first, the Kraken Pro V2 is a killer headset that performs nearly as well. I've grown rather fond of the HyperX Cloud Revolver headset during testing. The audio is fantastic overall, offering a clear soundscape that doesn't overemphasize any single frequency. In fact, our winner, the HyperX Cloud, only barely outperformed the Revolvers and that came down to very subtle differences that probably wouldn't be noticed without a side-by-side comparison. The Revolvers also get away with being extremely comfortable thanks to an automatic adjusting headband and wide earcups to completely encompass any ear type. The removable mic is fairly generic overall but provides clear audio that guarantees your team won't turn against you for having weak comms. 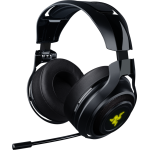 Overall, the Cloud Revolvers are a great headset that is limited only by their price and lack of extended features. Still, that's no reason not to consider them if you're looking for a new pair. The culmination of a lot of time and energy, the Logitech G533 Wireless headset is feature-packed and ready to take on everything from "Battlefield 1" to "Forza Horizon" and deliver superb control over your sound. The wireless is easy to use thanks to the plug and play USB adapter and the battery easily lasted enough for a few marathon sessions before needing a charge. In each of the games I played, there was a definite emphasis on bass and heavier sounds that lent itself really well to first-person shooter games where explosions and rapid gunfire are normal. For those tense matches where communication is key, a mic is crucial and the noise-canceling mic on the G533 never let me down. It comes with a handy micro pop filter that reduced the ambient sound (like my breathing) that would get picked up. Instead, my callouts were clear and easy to hear, albeit a bit tinny. Out of the entire Arctis line, I felt like I had to recommend the middle-of-the-road Arctis 5 above the rest. It lacks the wireless of the Arctis 7s, but that's a small price to pay when you're talking about a moderate difference in price. They sound great, offering enough clear distinction in the audio cues that it's leaps and bounds above the cheaper headsets you might be tempted to buy. But the audio isn't the real winner here. The Arctis 5s—and the whole Arctis line—are beautiful headsets that lack the jagged edges and red/black color scheme that dominate gaming peripherals. I don't know if style is going to be the determining factor for you, but if it is, the Arctis 5s are the way to go. The Arctis 7s are a great wireless headset. In the end, though, I felt that what you're getting doesn't quite match the price. Which is why I recommended the Arctis 5s instead. If you're in the market for wireless and don't like the look or feel of the Razer ManO'Wars, then the Arctis 7s are a solid second choice. They sound great, are incredibly comfortable, and stylish to boot. While the G933 Artemis Spectrum is a fantastic headset that has great, easy-to-use wireless, ultimately I left it off the list in favor of the G533. With three programmable G-keys, the G933 is a strong contender who wants to really customize their audio experience. The entry level model in the Arctis line, the Arctis 3s sounded great but lack many of the features that kept them from being a compelling pick in the end. 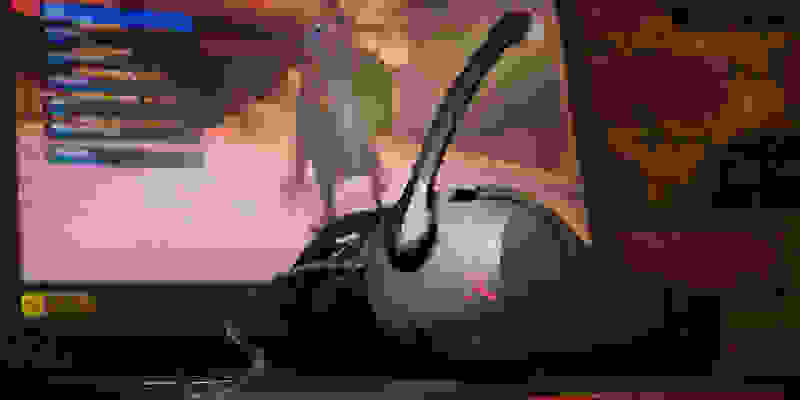 Logitech G633 Artemis Spectrum Much like it's older, cooler brother, the G633 Artemis Spectrum is a fantastic pick overall, but lacks the comfort and features it needed to propel into our list of recommended products. I was excited to get the budget pick from our friends at the Wirecutter in to see how they'd hold up. While the mic was fantastic, the audio performance was subpar at best. Not to mention that they were hands down the most uncomfortable pair I tested.